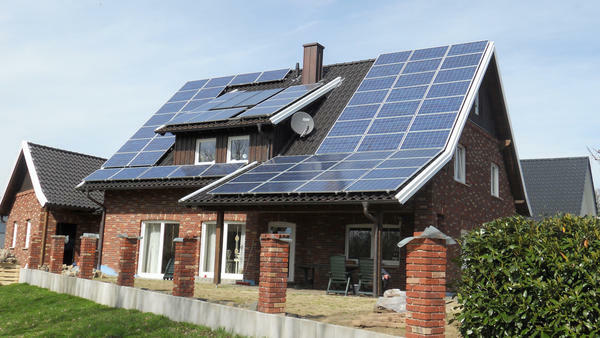 Although solar power has gone mainstream enough these days that many people may understand that they have the option of going solar at home, and are in favor of it, sometimes that’s as far as it goes, and home solar still remains somewhat of a mystery to them. When asked about the details of how solar panels work in general, or how a grid-connected home solar array works, or what having a solar powered home could mean for them personally, or any of a bunch of other questions about solar photovoltaics (PV), the average person isn’t nearly as informed as perhaps they ought to be, considering the increasing cost of energy in general, and the decreasing costs of solar. With that in mind, we’re going to start posting short “Solar 101” articles, starting with this one, in the belief that the more people who learn about the basics of solar, the better, and that the more widely the solar information is shared, the more people can take advantage of this clean and affordable renewable energy source. Learn how you can go solar today!